More evidence of what we theorize to be Earth's interaction with a Type 3 civilization on the Kardeshev scale has recently emerged in headlines of newspapers around the world. 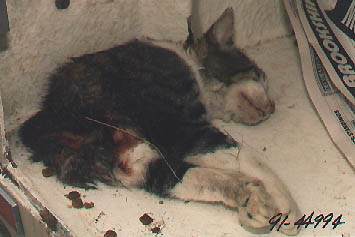 This activity is the mutilation and, we believe, sample taking of large numbers of small animals. As we have reported before the incisions are just as precise as they are in cattle mutilations. It's not just small animals and cows that have been discovered with laser like precise wounds. There has literally been found this type of phenomenon in every animal species around the world including humans. As you can now read our Deep Black reports for free from now on you will discover an extensive article in which I describe a number of reasons for the highest probability is that we are dealing with a technology sufficiently advanced enough to appear as magic. Some researchers like Linda Moutlan Howe (who we have extreme respect for) believe that there is some side motive of leaving the animals where the owners can discover them. She also makes the link that humans love their pets and therefore it seems probable to her that this is a sort of revenge or diabolical motive. I would have to disagree and point out that what is most probable is that the animals are found exactly where the killing and sampling occurred. It is only because the technology is so advanced as to appear as magic that it may be the reason no witnesses to the mutilations exist. The center section of the cats torso is most commonly removed. We believe this is to examine the contents of the stomach. We believe there is more than sufficient evidence to present a strong case that for a very long time now this ,as yet unknown, Type 3 civilizations has an extreme interest in the life on this planet down to the molecular scale and that the mutilation/samplings of these lifeforms is part of a very long running program to monitor any number factors causing an impact on the ecosphere. The drone craft conducting these operations are autonomous and possess an artificial intelligence so advanced that they have been able to successfully continue these operations without mass detection by the world's human population. Please read my article located on the Deep Black page. This is a link to one of the current outbreaks of this phenomenon. We speculate that what is of interest to the perpetrators isn't the cats themselves but on the contents of what the cats are eating in the natural environment. I have also discovered that house cats are the most invasive species ever in the history of the world and are directly responsible for the extinction of a number of indigenous bird species. Cats in North America consume vast numbers of birds every year and so it is not too far of a stretch to wonder if it the birds being eaten that are of interest here to the perpetrators. I wrote of this extensively in my original report available on the Deep Black page. Another specimen that was apparently dropped from a great height and landed on this telephone pole. 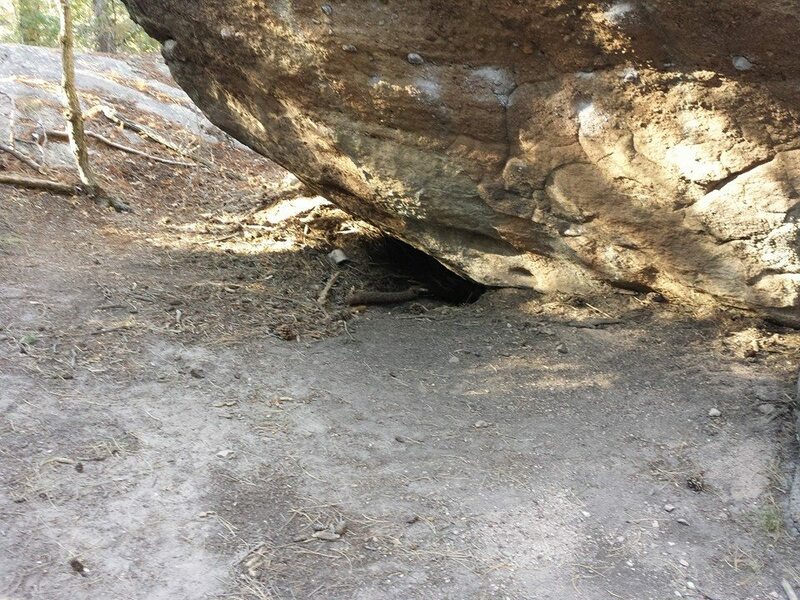 This was discovered in an extremely remote area by a repairman sent to the area. Other explanations of how a creature of this size could have been placed there are all extremely improbable. 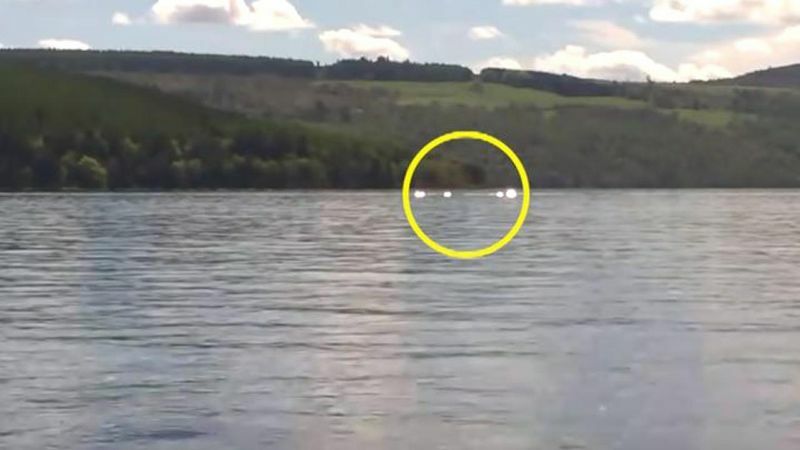 Crypto Watch:New Footage Shows Something That Should Not Exist At Loch Ness. Some D.N.A. 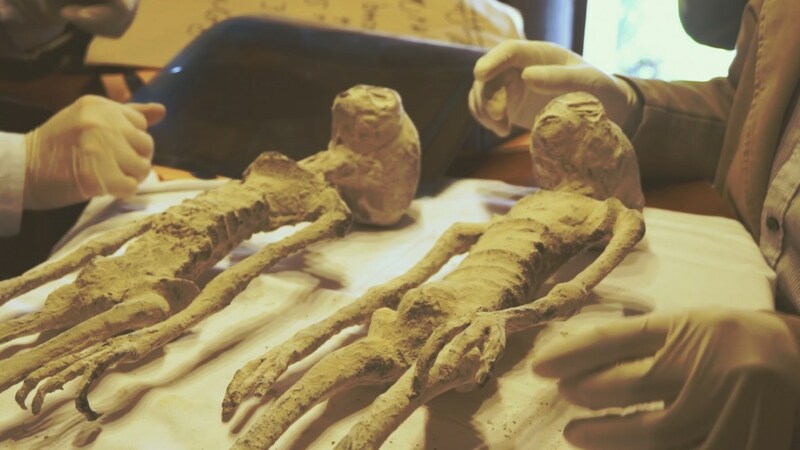 results have been reported concerning the new Nazca mummies that were discovered in a remote area near Nazca, Peru. An investigation team dispatched by Gaia.com and a world class team of scientists have examined the bodies in detail including extensive X-rays and now D.N.A. testing conducted by BioTecMol laboratories. The results are shocking to say the least and even though there has been a concerted effort by the Peruvian Ministry of Culture and other governmental agencies to call the entire affair a hoax, the D.N.A. proves differently. Earlier this month, certain agencies in Peru reported the mummies to be a hoax without ever even examining the bodies. This is a typical response in the world of Ufology by the powers that be to try to paint all such evidence as hoax in an attempt to keep the false world history in-tact. The beings discovered possess an anatomical structure which is clearly not human in any way, shape, or form, and now the D.N.A. results prove this to be the case. What is not currently known is whether or not this species co-evolved alonside humans here on earth or are extraterrestrial in nature. Since the efforts of the Peruvian government to paint the find a hoax, a number of so-called U.F.O. and paranormal research websites have followed suit without even examining the available evidence for themselves. What Is Stalking The Skies Of Chicago? 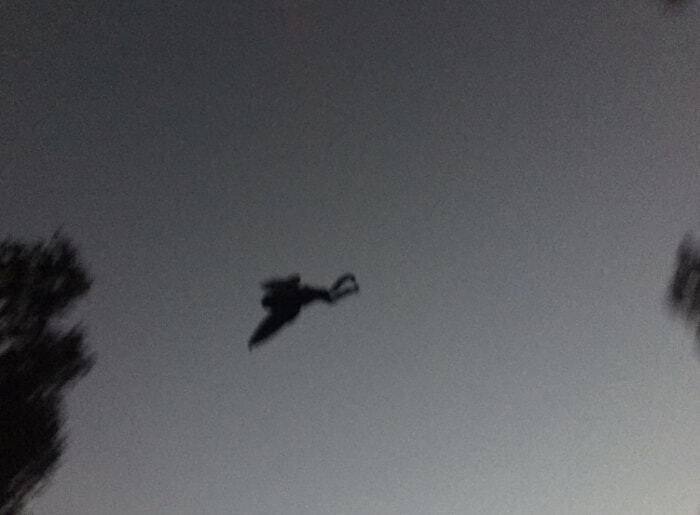 Photo of the Chicago creature as it flew above a local stripmall. 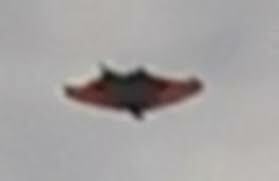 Eyewitness photo taken as the creature was seen flying above a neighborhood in the Chicago area. Only one major pattern has developed regarding these sightings. That pattern revolves around water. When plotted on a google earth map, it can clearly be seen that these creatures prefer to stay close to water. The P.I.A. is not yet sure why this is the case but as in all paranormal happenings, patterns are the key to a deeper understanding of the phenomenon and sometimes lead to the solving of such mysteries. Are the sightings of these creatures somehow foretelling a coming disaster in the area? Only time will tell and we continue to examine each and every case as they are reported in hopes of finding yet even deeper patterns. Has Mothman Returned To Chicago? 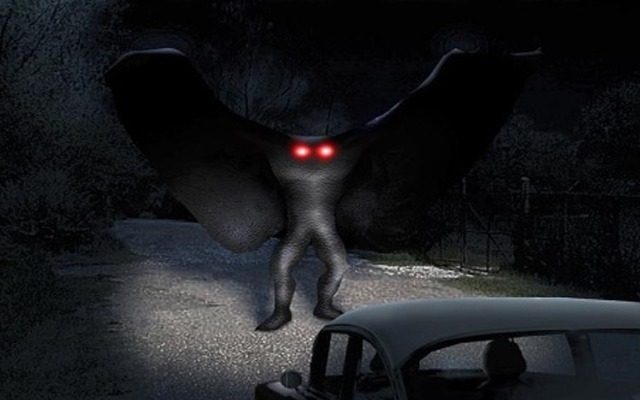 In the past month there have been a large number of eyewitnesses around the greater Chicago area who are reporting that they have seen a creature that resembles the classic descprition of Mothman. The eyewitnesses have reported that the creature or creatures that they are seeing resemble a bat of gargantuan size. 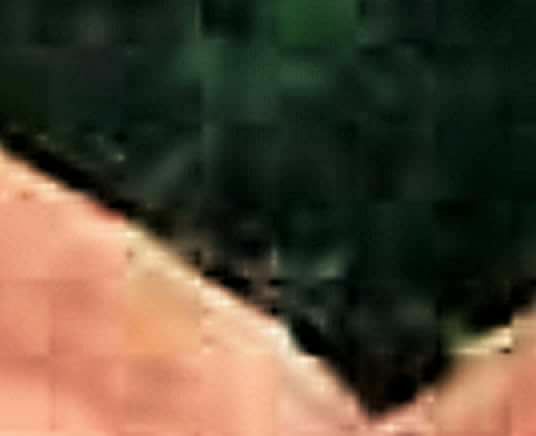 The eyewitnesses have stated that the creature has bat like wings with no feathers and stands greater than six feet tall. One encounter involved multiple witnesses. This was reported to Lon Strickler of Phantoms and Monsters website. The sighting involving multiple witnesses occurred to workers at the Chicago International Produce Market. This involved 4-5 witnesses who all described the creature as the largest owl they had ever seen. 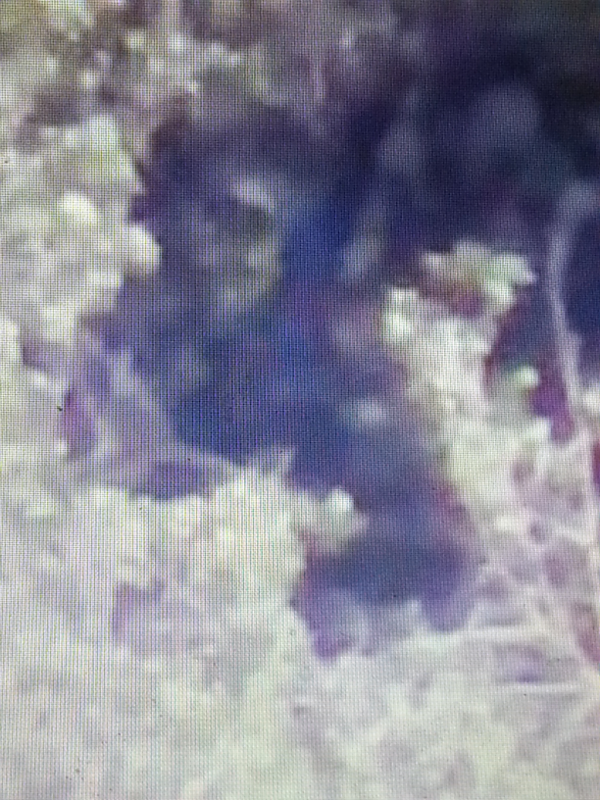 One witness reported that he was 6'4 tall and that this creature stood a foot taller than him. Eventually one of the witnesses threw a rock at the creature and it flew away. There have now been 5 fully reported sightings occur in the last 30 days and it seems that Mothman has returned, this time to Chicago. 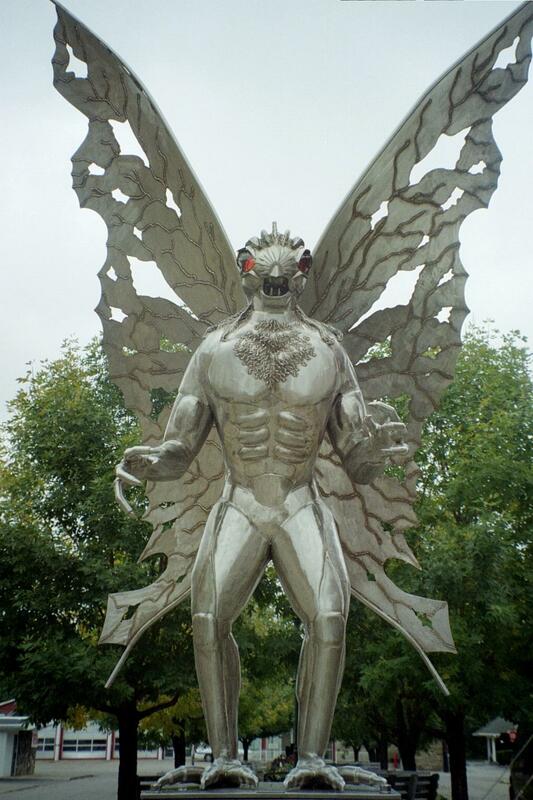 Mothman has always been associated with tragedy and catastrophe. What do these sightings portend for the already crime ridden city of Chicago? 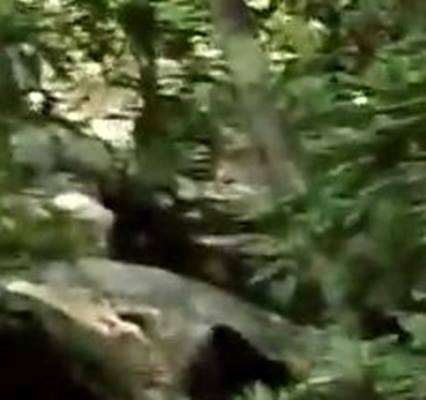 Clearest Photo Of A Bigfoot Since Patterson/Gimlin? While conducting a video analysis in which we analysed the film frame by frame we discovered a Bigfoot that this particular videographer never even knew was watching him. Below the creature - See more on this story on our Cryptozoology Page. In the past few months, a very strange case was brought to the P.I.A. 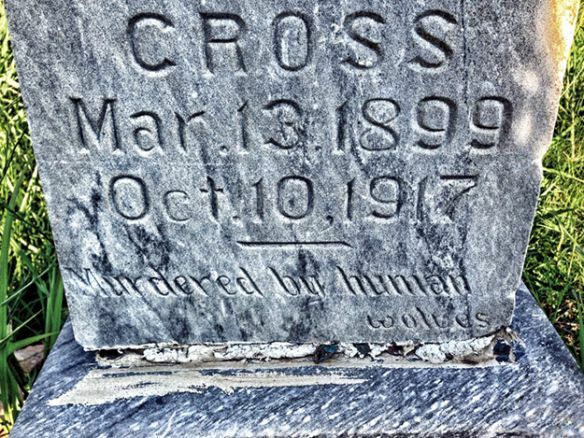 for further investigation.This case might just be called the sad case of Katherine Cross, had it not also possessed very ominous undertones of something more paranormal than the reported details of the Katherine Cross tragedy. A few investigators have looked into this mystery but none so much as Mary Franklin, an investigator located in Oklahoma. Mary was kind enough to share her case files spanning a 25 year period of investigation into this mystery, with the P.I.A., and we have begun our own analytical investigation into this case. In the quiet, sleepy little town of Konawa, Oklahoma. a great mystery unfolded in 1917 and still continues to unfold to this day. The known public facts of this mystery are tragic enough but taken in whole with the substantial amount of other source evidence available, it begins to form a very dark picture. The accepted version of the story is that in October of 1917 a man named Dr. Yates was charged with performing an 'illegal operation' on a woman named Katherine Cross who lived in Konawa along with the Dr. This illegal operation is thought to have been a illegal abortion. The operation caused her death and Dr. Yates was charged with her murder. What is still unexplained about these charges is that they were later lessened to manslaughter before the Dr. was found not guilty of the charges. There is some evidence to suggest that another man in the town of Konawa named Fred O'neil was instrumental in this outcome and that his father was the judge presiding over the case. There is scant other information regarding this particular affair because of the rural nature of the setting of Konawa in 1917. Even today, Konawa only has a resident population of 1400 people. The population in 1917 was less than 100 people. What is known is that shortly after this whole event happened, the Dr. was once again charged with performing an illegal abortion on a woman named Elise Stone. It is known that Fred O'neil was a teacher at the same school as Elise Stone and it is suspected that he may have been the father of the fatefully aborted child. Just as before, Dr. Yates was acquitted. Those are the known facts surrounding this headstone. The inscription on the bottom of the headstone remains unexplained at this time. 25 years ago Mary Franklin decided to delve into this case and was met with death threats and a bizarre series of events that clearly indicates something far far stranger at hand than the accepted story of Katherine Cross. Picture: Double Dog Man tracks in fresh snow discovered by a homesteader named Carol Davies. Notice the three toed print which is the hallmark of the Dog Man. 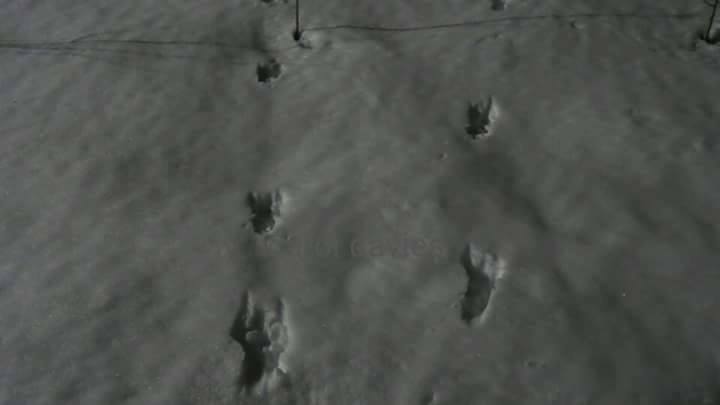 These tracks show two creatures running side by side. This location is extremely remote. This is where the strangeness increases exponentially in this case. Not long after the discovery of the headstone in Konawa, Oklahoma, other witnesses came forward to report other headstones in small towns in central Oklahoma near Konawa and Ada that also bore the inscription "Murdered by Human Wolves", and some of these headstones were of male victims. One such headstone dating to 1901 still stands in the small, overgrown cemetary of Purcell, Oklahoma. Another headstone bearing the same inscription was also discovered in the small town of Stonewall, Oklahoma. All of these towns are located in close proximity in south central Oklahoma. September 2, 2001 a witness came forward named Michael Greyhawk who lived in yet another small town located near the others named Thackerville. Greyhawk reported that he had been near the lagoon outside of town and witnessed a very strange creature that he described as a "pale looking human male with an elongated face running very quickly on all four's like a dog. He said the creature was able to clear a very tall fence without a sound before disapearing into the woods. 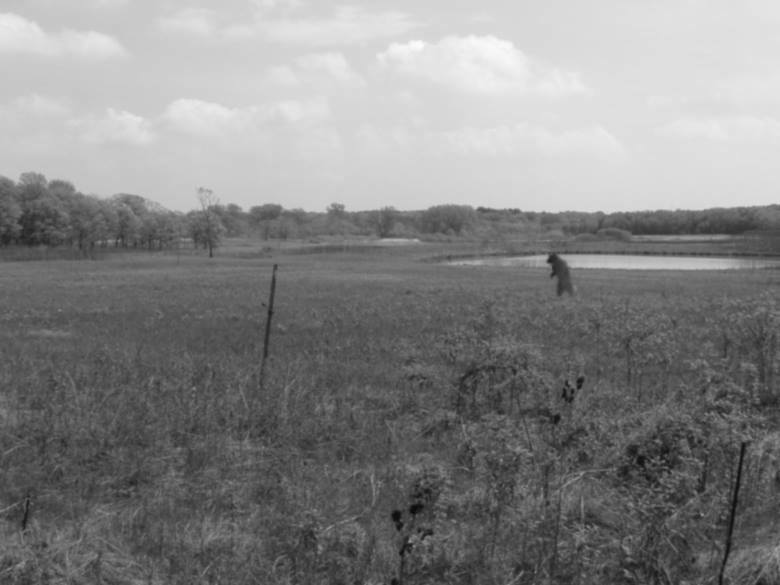 photograph of purported Upright walking canine creature taken in rural oklahoma. While investigating this case we discovered a cross pattern of information. This presents itself in the form of research done by the preeminent researcher into the Dog Man mystery, Linda Godfrey. In her case files she presents two very interesting encounters that were reported to her. The location of these encounters was south central Oklahoma. These encounters occurred very near the same small towns where headstones have been discovered bearing the inscription "Murdered by Human Wolves." In 2011, Linda Godfrey was contacted by a school counselor who works near Ada, Oklahoma in south cental Oklahoma. 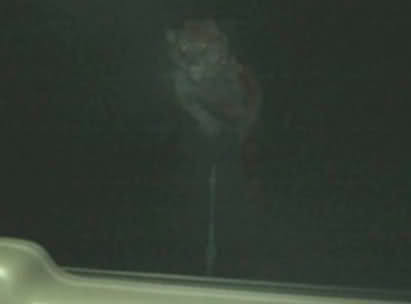 She was 5 miles southeast of Ada on a rural back road when she came across a figure walking down the side of the road. As she passed the figure she was astonished to see a 7 foot tall upright walking wolf like creature carrying a deer over its right shoulder. 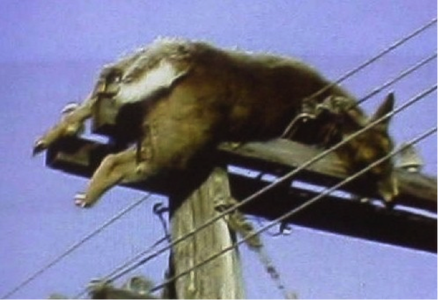 She reported that it turned and easily stepped over a fence with its kill and strode off into the woods on its hind legs. 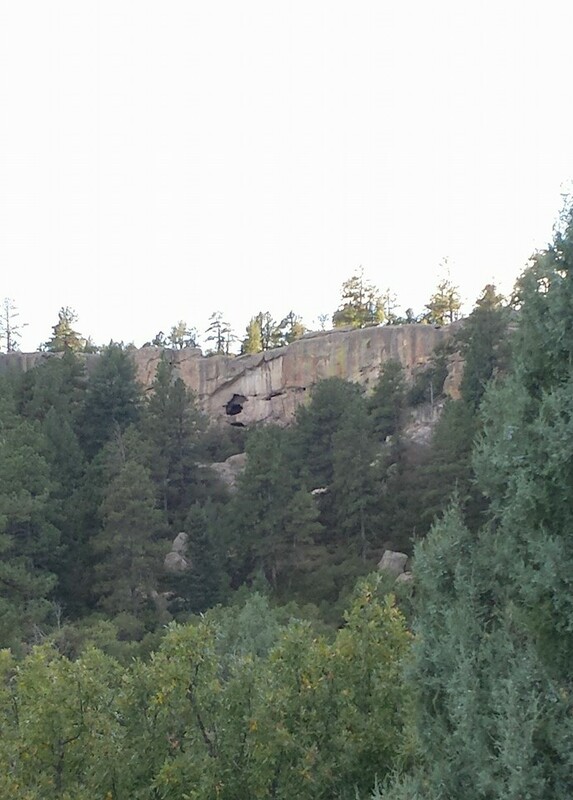 The Onaway photograph taken by a family out of the back window of their minivan as they fled a Dog Man. In 1993 two teenagers who were hanging out in their cars on a back road near Okarche, Oklahoma, reported to Linda Godfrey that they too had an encounter with a 7 foot tall upright walking canine creature that approached their vehicles as they sat chatting. They sped away and report that neither are willing to go into the country anymore, especially at night. These encounters can be found in their entirety in Linda Godfrey's book 'Real Wolfmen, True Encounters in Modern America." 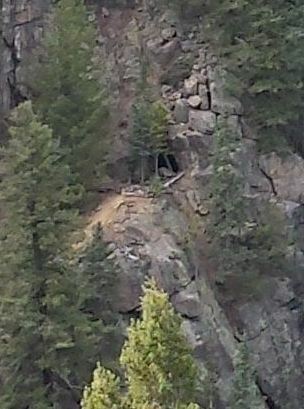 Lost Creek Dog Man: Photo by Jack Cary. 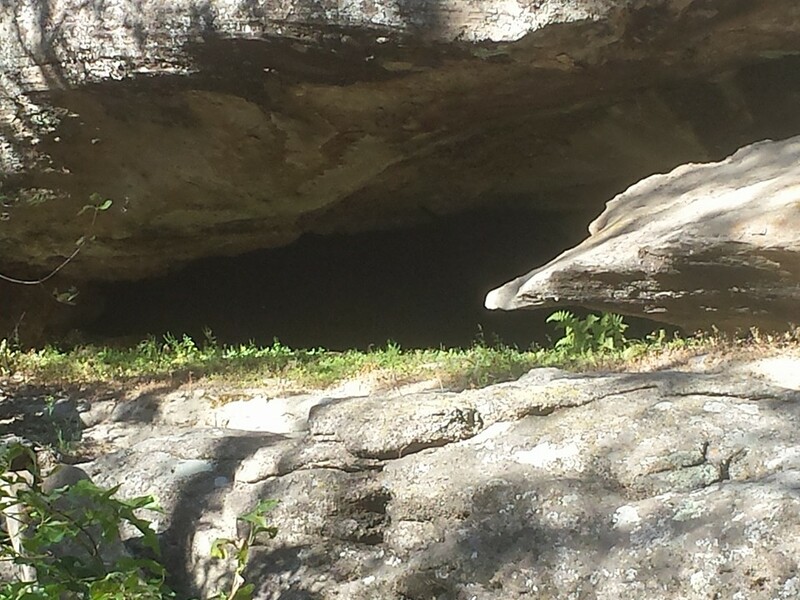 Are Caves The Key To Finding Bigfoot? The quest to find the ultimate and final evidence of the species we call Bigfoot is still forging forward with just as much ferver as ever. This quest continues despite two seperate credible genome studies of D.N.A. collected in the field, that in our estimation is already scientific proof of the species. In one of these studies performed by the Erickson group, which had in it's ranks a number of world class investigators including Jc Johnson of Crypto 4 Corners and the P.I.A. Erickson spent $500,000 of his own money to fund the collecting of this evidence and the results were released to the major media news outlets. That day it was huge news all over America as the Erickson group had not only collected D.N,A. of the species but also high definition video of said creature. 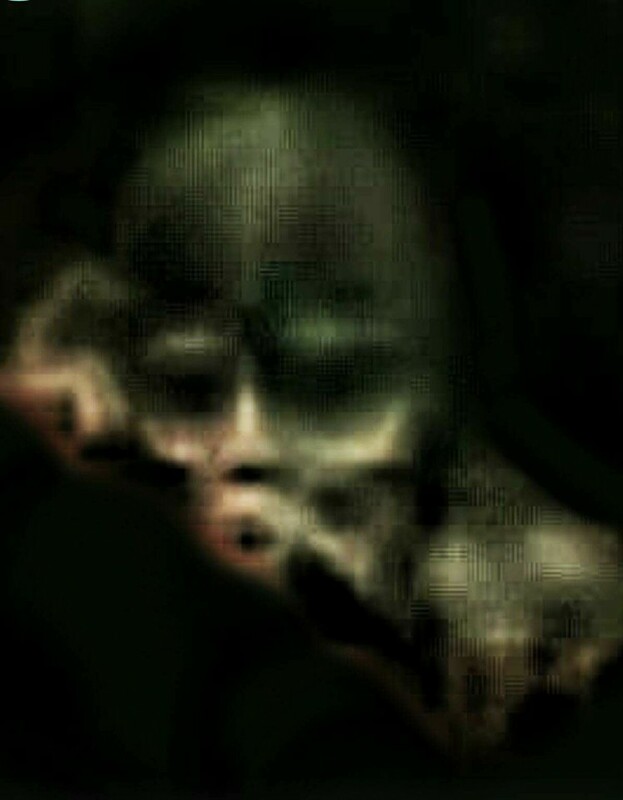 In the state of Oklahoma, a number of the elders of the local indigenous tribes have stated publicly that they hold the traditon that these creatures live underground and it is the contention of the P.I.A. that there is sufficient evidence to bolster those claims and provide a viable explanation as to why these creatures are so very elusive. Some investigators have speculated before that this just may be the case and there is remnant material of those theories to be found on the internet. The two genome studies performed clearly showed that these creatures are in fact, part modern human, and anecdotal evidence suggests that these creatures live in a very tribal fashion. One very reliable witness who was a Navajo on a reservation in northern New Mexico, once told us of witnessing a group of them burying one of their dead. He claimed to have seen them include objects with the body before covering it up with soil and then large bolders. Another group of Navajo witnesses reported seeing a group of them literally herding a giant herd of Elk up in the highlands during Summertime. Some of them were wearing Elk Skins. If these creatures do, in fact, live in a tribal fashion then it would be logical to assume that they always do something with their dead and this, we believe, may be the key to finding the remains so long sought by an army of investigators. It could very well be that these creatures not only live in the millions of small undocumented caves which cover this country, but also bury their dead in some of them and then cover up the entrances. 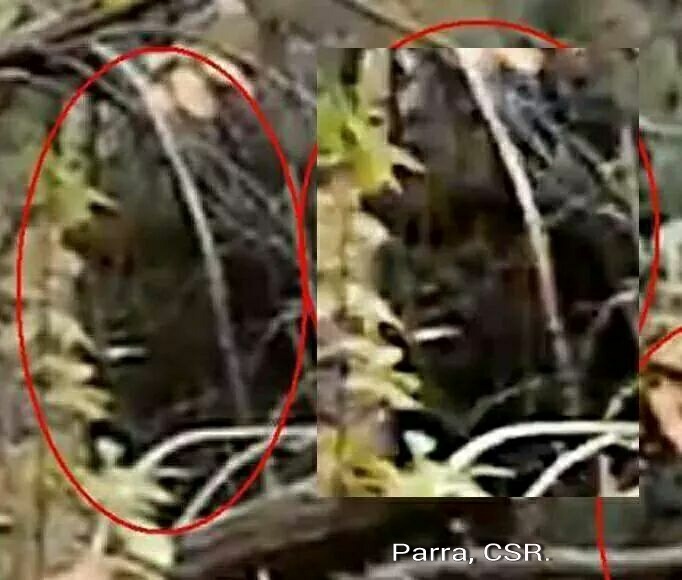 In recent years, investigators in Colorado such as Mark Para and Susan Crone of Sasquatch researchers of the American Southwest have collected a wide body of evidence which goes even further to bolster the idea that this is in fact the case. 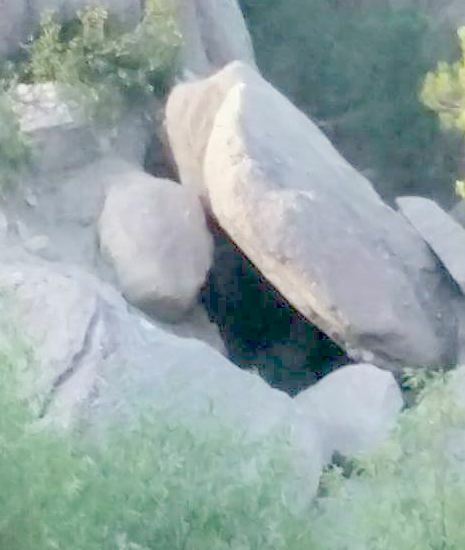 Along with finding what appears to be den after den of small caves found within the never ending canyon systems of Colorado, they have also collected compelling photographic evidence of the creatures around these caves. 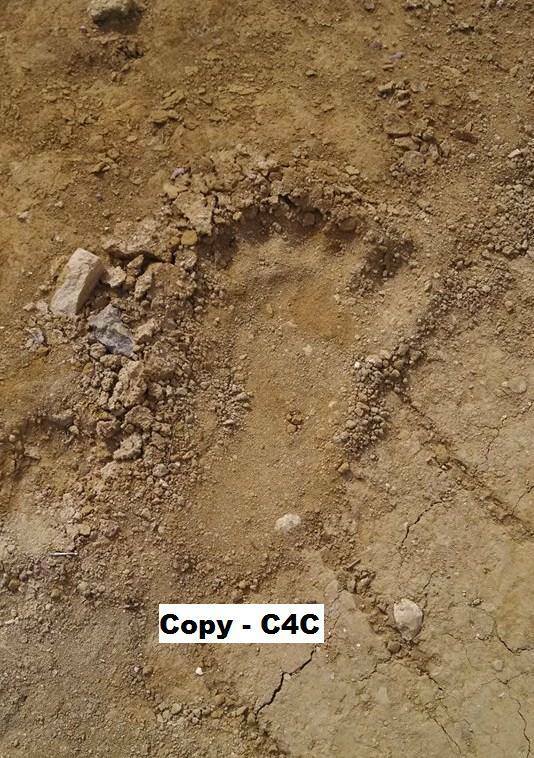 The following photographs are courtesy of Mark Para and Susan Crone of Sasquatch researchers of the American Southwest. The quest to find remains of one of these creatures continues but we are beginning to see the larger picture of what is happening and why it is that those remains have not been found...yet. As we continue to zero in on these creatures behavioral patterns then we believe that evidence will be found and the world will finally have to accept the reality of these creatures. 16 inch footprint found in the Chuska Mountains by Jack Cary of Crypto 4 Corners and P.I.A. Recently Maj. Ed Dames C.I.A. (ret.) was interviewed by Art Bell of Coast to Coast A.M. radio about the use of his team of Remote Viewers to target Bigfoot. The results of this experiment were shocking to say the least and leave as many questions as they do answers. In Remote Viewing the remote viewer is never told or shown who or what the target is until well after the experiment is conducted. In this particular experiment the remote viewing team almost to a man all drew the same thing. What they drew and sensed and explained was not something that most if any leading Sasquatch researchers would guess, far from it, in fact. What the team of Remote Viewers saw and described was a black box device in space. They sensed that this black box is somehow responsible for the creature's appearance on earth. They sensed that this was, in fact, a real creature who was alive on the earth at some point but who's essence was now somehow captured by this alien black box technology. This monolith like device was able to project the very living essence of the creature down to the earth and retract it at will. They also sensed that the purpose of the "projections" of the creature from the black box was to stimulate an eventual response from the human species to look behind what was causing the "projections" of this and other enigmas. They believe that when the human species begins to look behind what is causing the projections then the relationship between our species and the manufactures of this technology will finally change and contact made. Maj. Ed Dames believes this explains a number of strange facts that are known in Sasquatch research. Chief among these strange facts are the many disapearing track lines that have been discovered. 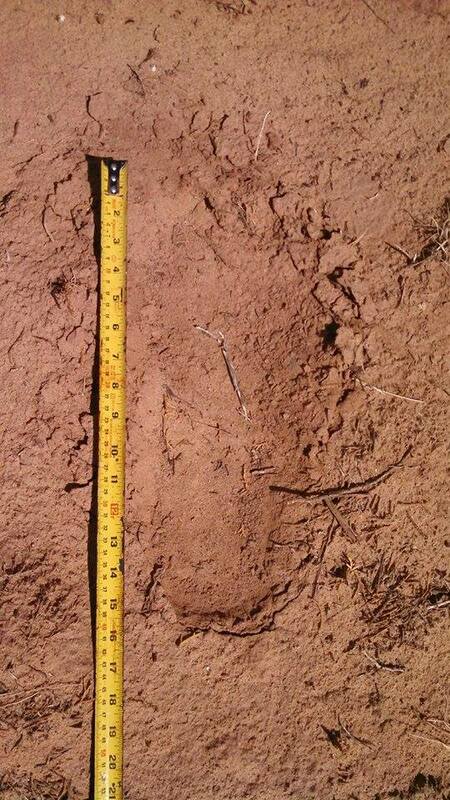 Crypto 4 Corners discovered just such a trackline in the wilds of northern New Mexico where the prints measured 19 inches in length and the trackline itself was a full 1/4 mile in length! The tracks just suddenly stop where by all right they should continue. The topography doesn't change, for example, the same soft sand extends for miles that the prints were found in and should continue on for as long as the mediium allows but in these cases they don't. The tracks stop and by all appearances the creature just seems to vanish into thin air. These findings seem to generate more questions than they answer. One such question is what happens when one is killed down on this planet? Does it dematerialize into light spectra, like a hologram or are we still left with a fleshy specimen? If we are left with a fleshy specimen then how would the human species ever discover that these were "projections" from an alien technology? The P.I.A./Crypto 4 Corners is dedicated to solving this mystery once and for all and our field research efforts have been redoubled in concert with our desire to find the ulitimate answers to this and other mysteries facing mankind. 19 inch print discovered by C4C. This was part of a disapearing trackline that extended 1/4 mile. Follow up investigation conducted by Jc Johnson and Jack Cary of C4C international.